Tonight there is a blizzard warning. Temperatures are supposed to hit zero. The news has been saying that if you absolutely must travel to make sure you’ve got a winter survival kit. We are all cozy inside, huddled in the fort Scott and Creamie built in the living room. Creamie has all the flashlights out, one for each babydoll, and Scott and I are sharing the pillows. It’s the perfect way to spend a perfectly blizzardy night. I might even turn on the furnace. It’s been really nice to have my internet misbehaving the past few days. I sometimes need a reminder that the internet, though lovely, is not all there is to my free time. That being said, look how cute these things are. 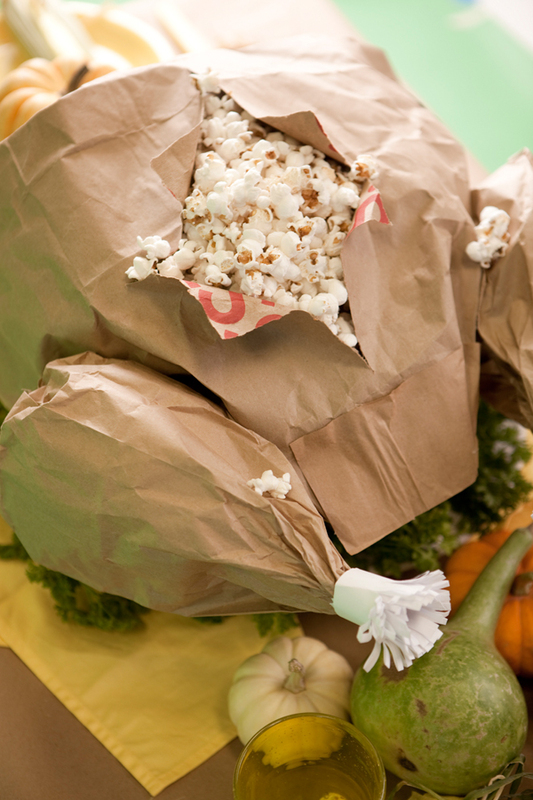 Turkey AND popcorn? I’m pretty sure that this would be Thanksgiving Heaven for Scott. Pretty sure. 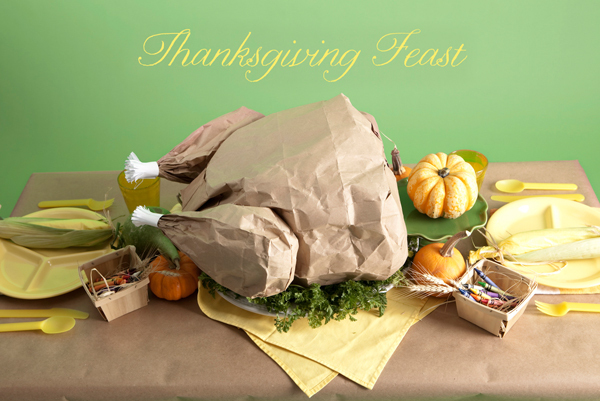 We’ve got leftover turkey and stuffing in the fridge from First Thanksgiving (and there will be seconds and thirds). There is also half of two pies which I’m sure won’t be a problem to take care of either. Creamie is finally starting to feel better (for the record, 5 days of sick baby is totally lame). The fridge is full, the laundry is done, the dining room table is covered with my craft projects and the Blizzard is on the way. Right now life couldn’t get any more perfect. Sounds perfect! Oh I love that turkey with the popcorn. I’ll have to check with my sister (who is vegan, no meat or dairy products) to see if she has any issue with eating popcorn from the inside of a paper turkey. She’d probably like it though. I hope you stay warm and enjoy the time with your family! Happy Thanksgiving! That turkey is adorable. And you are making me a bit nostalgic for last winter when we got snowed in. I love it! Hee, hee. The storm turned out to be quite a dud, at least in my neck of the woods. We barely got a skiff of snow. The storm was mostly wind. Everybody was battening down the hatches and several of my friends were in quite a panic. I heard there was pandemonium at the Wal-Mart. I started to worry that we might not be able to drive to my parents’ on Thanksgiving and was wondering what sort of non-turkey dinner we’d be enjoying instead. But it is bright and sunny out and the forecast is clear for the next few days. It kind of makes me laugh.